In 1850 Mr Lapidge, the former grocer at 34 Suffolk Parade, lived here. 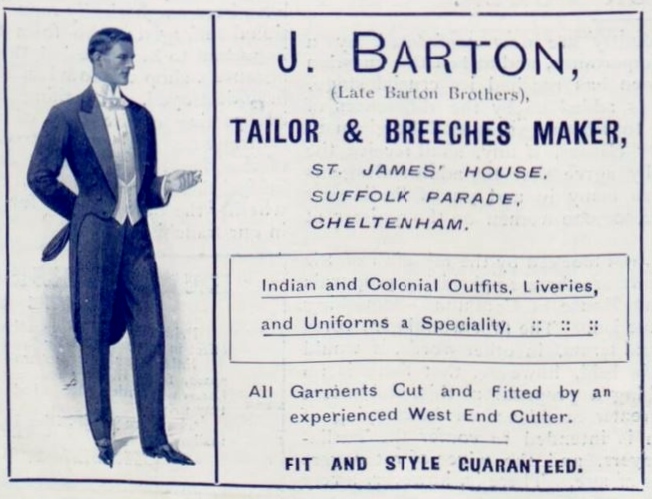 In 1869 these premises were developed into a shop which was associated with clothing, cloth and fabrics-retailing for more than one hundred years, firstly as Mrs Claridge dressmaker, then Thomas Willis drapers and Barton Brothers tailors. Joseph Barton (senior) took over the business in the first few years of the 20th century. He was active in local civic life and in 1906 was the Honorary Treasurer of the Leckhampton Hill Defence Fund, which was established to support the 8 men tried at Gloucester for the civil unrest that ensued after the new owners of the hill closed some of the public footpaths. Mr Barton lived with his wife, Annie Louise, at 25 Suffolk Parade. He died on 4th November 1912. 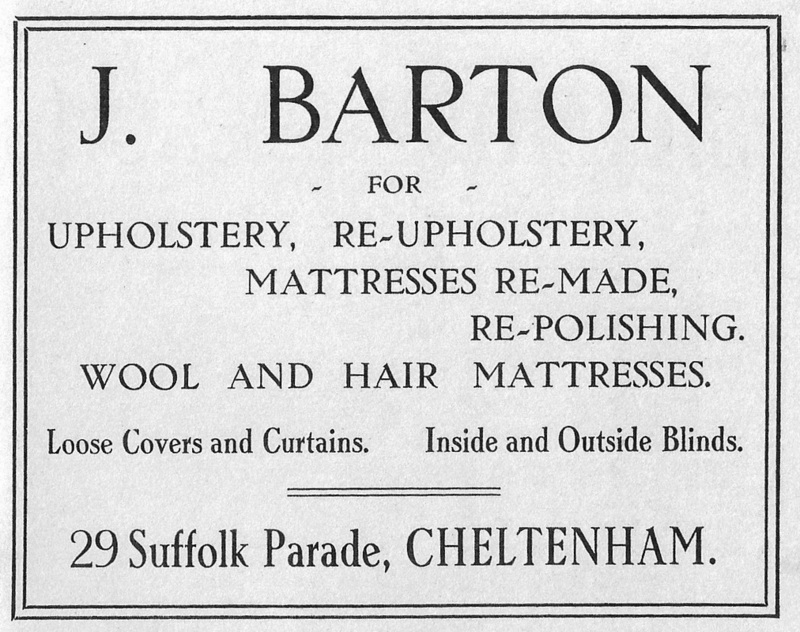 By 1910 the business had transferred to their son, Joseph Barton (junior), who established a furniture upholstery shop here and also manufactured curtains and blinds. He ceased trading in the late 1930s and this shop then became a ladies costumier owned by Frederick Vick. In 1949 this became Bruce Joyner, costumier, and remained a ladies fashion shop until 1977. 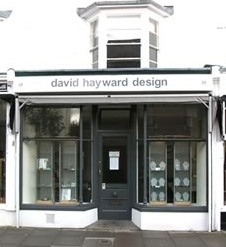 Since 2000 it has been home to David Hayward Design, makers of fine writing instruments.